Meeting rooms are available to arts related groups, community groups, service clubs, and the business community, for meetings, receptions, cocktail parties, symposiums and seminars. The RMG is the perfect venue in Durham Region to host a small meeting or hold a larger networking event. 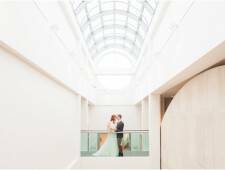 The gallery’s inspiring surroundings will ensure your group is stimulated and excited, while our event team will ensure the day runs smoothly.